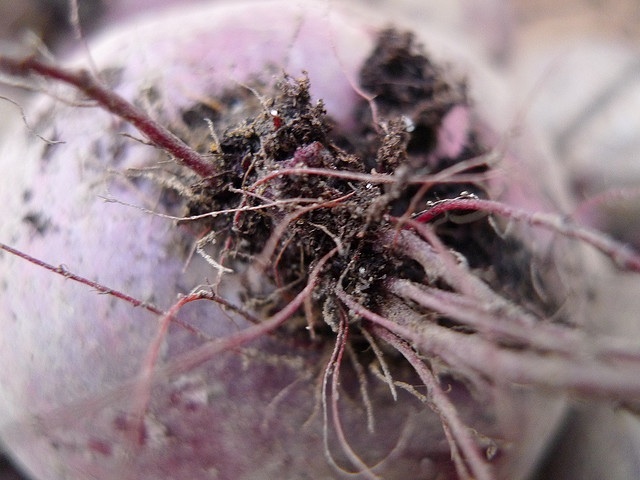 We’ve been getting juicy earth covered bunches of beetroot in our seasonal organic box for the last two months. 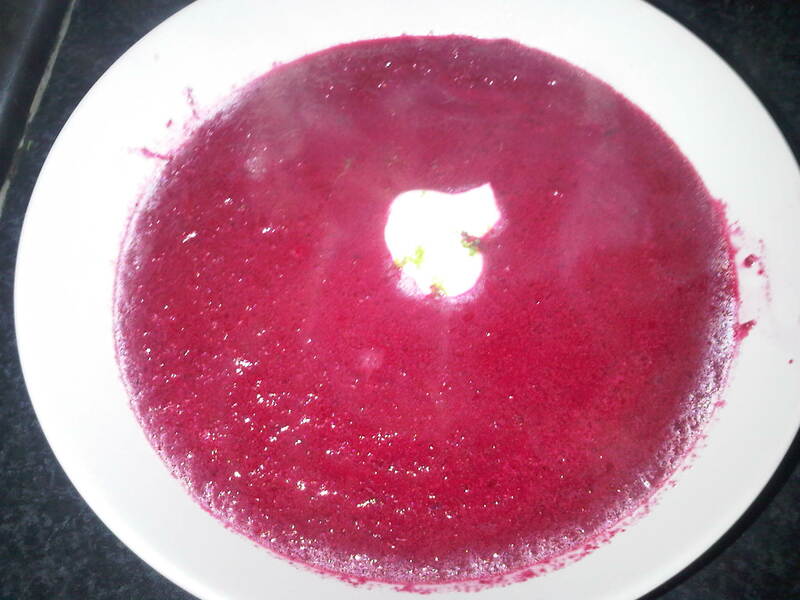 Get the memories of bad Borscht out of your mind now. I’ve roasted them for hours in the oven with garlic in their skins served with creme fraiche, pistachoes and lime zest, cooked them and made an autumnal salad like my grandma does with grated carrot, roasted sunflower seeds and bite size pieces of orange, if available with a yogurty citrusy lemon dressing. I really wanted to do something with a South East Asian twist and came across a recipe in Leiths Vegetarian Bible, don’t be sacred, it’s a fab book, even if you love eating animals. My brother gave me the recipe book whist I was at university and it continues to inspire me and is quite ideally stained with beetroot. 1. Melt button in a heavy bottomed pan, add the onion and lemon grass and fry over a low heat until soft. 2. Peel and trim the beetroot (after cooking in boiling water). Cut into largish chunks. Put in the pan with the stock, season with salt and pepper and bring to the boil, then lower the heat and simmer for about 20 minutes. 3. You’re nearly done. The smells should be amazing. Puree the soup in a blender with the can of coconut milk. 4. Pour the soup back into the cooking pan and add the lime juice and season with salt and pepper, taste. Reheat and top with a dollop of creme fraiche and some lime zest. Serve with toasted Sourdough or Rye bread! Don’t be intimidated by beetroot, it’s an amazingly comforting and versatile vegetable. You should still be able to get your hands on some, get cooking.